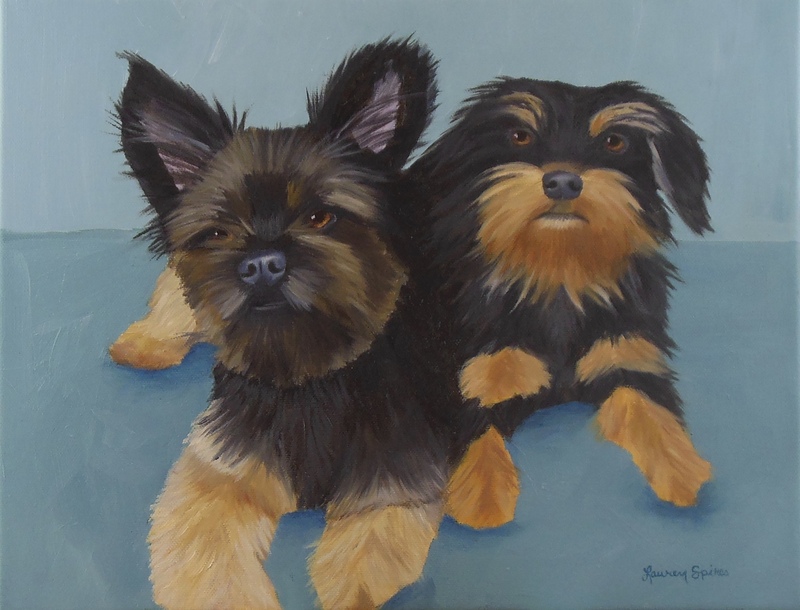 I painted these adorable dogs for my sweet friend, Rachel. She’s a total dog mom and these two babies are spoiled rotten! Charley is on the left and Annabelle is on the right, and they are the very best of friends. I had a top-notch reference photo to work from – it definitely helped that Rachel is an awesome photographer. Below I created a side-by-side of the reference photo compared to the painting. It was so much fun painting this piece! Thank you so much for painting my pups!!! I love it! !